Dermablend 3D is enriched with reference skincare ingredients salicylic acid and eperulin, soothes the feel of skin and reduces the appearance of imperfections. The complexion looks even, smooth and matte for up to 16 hours. The skin feels supple and comfortable. 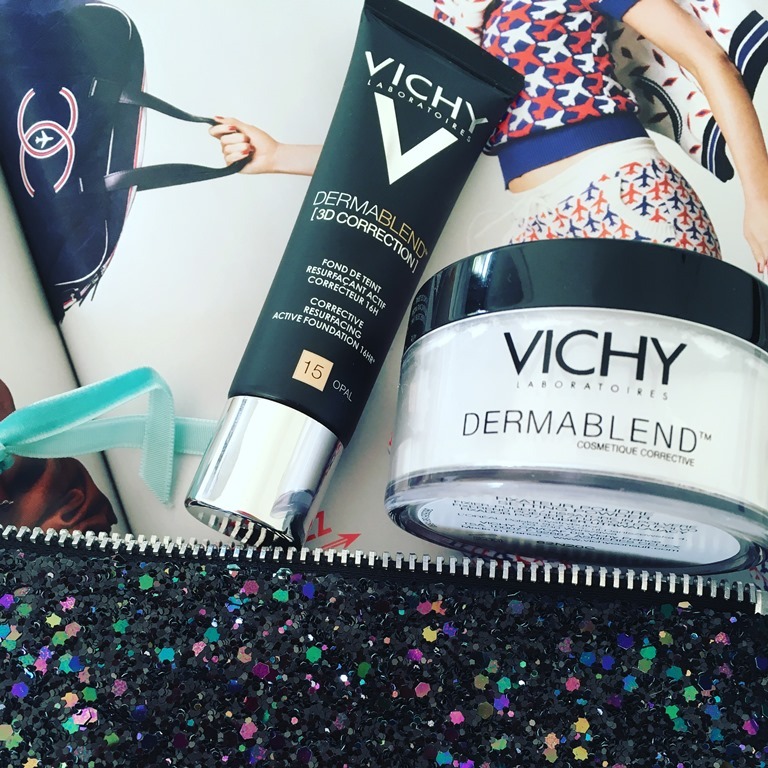 With VICHY DERMABLEND [3D CORRECTION], only one application is enough to turn acne-prone skin into a smoother, more even, “ready to face the world” complexion. This is thanks to a texture innovation, Alliagel™. The pigments and soft focus agents that cover and blur imperfections are trapped in this gel, which unfold like a second skin, only more even, smoother, and more beautiful. 1) Pick up a small amount of Dermablend [3D CORRECTION] with a makeup brush or your fingers. 2) Apply a little product on the most pigmented imperfections. Dab it on to melt it into the skin. Repeat if your imperfections are still visible. 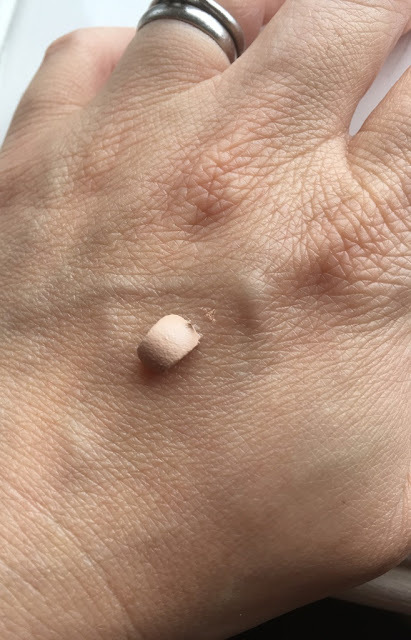 3) With a large brush or your fingers, smooth down and blend outwards all the foundation you have just applied, for a seamless, natural looking finish, do not apply to an unhealed wound. I was sent shade 15 OPAL which is a bit pale for me but I would much rather a shade be a bit lighter than darker as you can always warm it up by applying a bronzer. 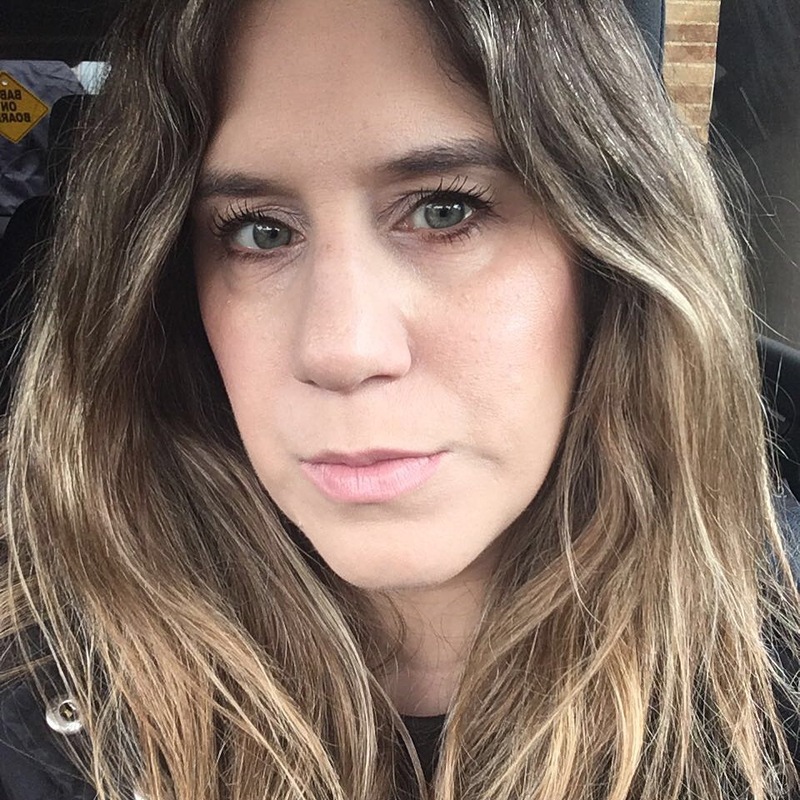 My skin type is normal/combination (in the t-zone) however since giving birth 10 weeks ago it has felt a bit drier and has some psoriasis patches which are really dry... This foundation states that it is for oily/acne prone skin which I don't have and I can see why when using it. Coverage wise this is a really effective foundation and there are tips on how to apply it which I have mentioned above. Personally I found that it worked best if the skin is well moisturised as it just glides across the skin, or else as it will cling to any dry patches. You also only really need a small amount as a little goes a really, really long way. A thin layer really does disguise the bits you want hidden and enhances your good bits. I liked the brightening effect it gave, matte doesn't have to equal dull as this foundation shows. It feels nice on the skin and it lasts a full day. Used in conjunction with the fabulous translucent setting powder, you can be confident of great skin all day long. The setting powder being white doesn't change the shade of your base and is undetectable once applied.